The first substantive history of science post that I wrote on this blog was about the Jesuit mathematician and astronomer Christoph Clavius. I wrote this because at the time I was preparing a lecture on the life and work of Clavius to be held in his hometown Bamberg. Clavius is one of my local history of science celebrities and over the years I have become the local default Clavius expert and because of his involvement in the Gregorian calendar reform of 1572 I have also become the local default expert on that topic too. The new lead astronomer on the project, Jesuit prodigy Christopher Clavius, considered this and other proposals for five years. The brief statement contains three major inaccuracies, the most important of which, is that Clavius as not the lead astronomer, or lead anything else for that matter, on the project. This is a very widespread misconception and one to which I devote a far amount of time when I lecture on the subject, so I thought I would clear up the matter in a post. Before doing so I would point out that I have never come across any other reference to Clavius as a prodigy and there is absolutely nothing in his biography to suggest that he was one. That was the second major inaccuracy for those who are counting. A hundred years later, Pope Gregory XIII rolled up his sleeves and went for it in earnest. After a call for suggestions, he was brought a gigantic manuscript. This was the life’s work of physician Luigi Lilio, who argued for a “slow 10-day correction” to bring things back into alignment, and a new leap year system to keep them that way. This would have meant that years divisible by 100 but not by 400 (e.g. 1800, 1900, and 2100) didn’t get the extra day, thereby shrinking the difference between the solar calendar and the Earthly calendar down to a mere .00031 days, or 26 seconds. This is correct as far as it goes, although there were two Europe wide appeals for suggestions and we don’t actually know how many different suggestions were made as the relevant documents are missing from the Vatican archives. It should also be pointed out the Lilio was a physician/astronomer/astrologer and not just simply a physician. Whether or not his manuscript was gigantic is not known because it no longer exists. Having decided to consider Lilio’s proposal this was not simply passed on to Christoph Clavius, who was a largely unknown mathematicus at the time, which should be obvious to anybody who gives more than five minutes thought to the subject. The problem with the calendar, as far as the Church was concerned, was that they were celebrating Easter the most important doctrinal festival in the Church calendar on the wrong date. This was not a problem that could be decided by a mere mathematicus, at a time when the social status of a mathematicus was about the level of a bricklayer, it was far too important for that. This problem required a high-ranking Church commission and one was duly set up. This commission did not consider the proposal for five years but for at least ten and possibly more, again we are not sure due to missing documents. It is more than likely that the membership of the commission changed over the period of its existence but because we don’t have the minutes of its meetings we can only speculate. What we do have is the signatures of the nine members of the commission who signed the final proposal that was presented to the Pope at the end of their deliberations. It is to these names that we will now turn our attention. The names fall into three distinct groups of three of which the first consists of the high-ranking clerics who actually lead this very important enquiry into a fundamental change in Church doctrinal practice. The chairman of the committee was of course a cardinal,Guglielmo Sirleto (1514–1584) a distinguished linguist and from 1570 Vatican librarian. The vice chairman was Bishop Vincenzo Lauro (1523–1592) a Papal diplomat who was created cardinal in 1583. Next up was Ignatius Nemet Aloho Patriarch of Antioch and head of the Syriac Orthodox Church till his forced resignation in 1576. Ignatius was like his two Catholic colleagues highly knowledgeable of astronomy and was brought into the commission because of his knowledge of Arabic astronomy and also to try to make the reform acceptable to the Orthodox Churches. The last did not function as the Orthodox Churches initially rejected the reform only adopting it one after the other over the centuries with the exception of the Russian Eastern Orthodox Churches, whose church calendar is still the Julian one, which is why they celebrate Christmas on 6 7 January. Our second triplet is a mixed bag. First up we have Leonardo Abela from Malta who functioned as Ignatius’ translator, he couldn’t speak Latin, and witnessed his signature on the commissions final report. He is followed by Seraphinus Olivarius an expert lawyer, whose role was to check that the reform did not conflict with any aspects of cannon law. The third member of this group was Pedro Chacón a Spanish mathematician and historian, whose role was to check that the reform was in line with the doctrines of the Church Fathers. Our final triplet consists of what might be termed the scientific advisors. Heading this group is Antonio Lilio the brother of Luigi and like his brother a physician and astronomer. He was here to elucidate Luigi’s plan, as Luigi was already dead. The lead astronomer, to use the Atlas Obscura phase, was the Dominican monk Ignazio Danti (1536–1582) mathematician, astronomer, cosmographer, architect and instrument maker. In a distinguished career Danti was cosmographer to Cosimo I, Duke of Tuscany whilst professor of mathematics at the university of Pissa, professor of mathematics at the University of Bologna and finally pontifical mathematicus in Rome. For the Pope Danti painted the Gallery of Maps in the Cortile del Belvedere in the Vatican Palace and deigned and constructed the instruments in the Sundial Rome of the Gregorian Tower of Tower of Winds above the Gallery of Maps. Map of Italy, Corsica and Sardinia – Gallery of Maps – Vatican Museums. After the calendar reform the Pope appointed him Bishop of Altari. Danti was one of the leading mathematical practitioners of the age, who was more than capable of supplying all the scientific expertise necessary for the reform, so what was the role of Christoph Clavius the last signer of the commission’s recommendation. The simple answer to this question is that we don’t know; all we can do is speculate. When Clavius (1538–1612) first joined the commission he was, in comparison to Danti, a relative nobody so his appointment to this high level commission with its all-star cast is somewhat puzzling. Apart from his acknowledged mathematical skills it seems that his membership of the Jesuit Order and his status as a Rome insider are the most obvious reasons. Although relative young the Jesuit Order was already a powerful group within the Church and would have wanted one of theirs in such a an important commission. The same thought concerns Clavius’ status as a Rome insider. The Church was highly fractional and all of the other members of the commission came from power bases outside of Rome, whereas Clavius, although a German, as professor at the Collegio Romano counted as part of the Roman establishment, thus representing that establishment in the commission. It was probably a bit of all three reasons that led to Clavius’ appointment. Having established that Clavius only had a fairly lowly status within the commission how did the very widespread myth come into being that he was somehow the calendar reform man? Quite simply after the event he did in fact become just that. he granted Antonio Lilio an exclusive licence to write a book describing the details of the calendar reform and the modifications made to the process of calculating the date of Easter. The sales of the book, which were expected to be high, would then be the Lilio family’s reward for Luigi Lilio having created the mathematical basis of the reform. Unfortunately Antonio Lilio failed to deliver and after a few years the public demand for a written explanation of the reform had become such that the Pope commissioned Clavius, who had by now become a leading European astronomer and mathematician, to write the book instead. Clavius complied with the Pope’s wishes and wrote and published his Novi calendarii romani apologia, Rome 1588, which would become the first of a series of texts explaining and defending the calendar reform. The later was necessary because the reform was not only attacked on religious grounds by numerous Protestants, but also on mathematical and astronomical grounds by such leading mathematicians as François Viète and Michael Maestlin. Over the years Clavius wrote and published several thousand pages defending and explicating the Gregorian calendar reform and it is this work that has linked him inseparably with the calendar reform and not his activities in the commission. This is the story of two brothers born into the working class in a small town in Germany in the late eighteenth century. Both of them were recognised as mathematically gifted whilst still teenagers and went on to study mathematics at university. The younger brother was diligent and studious and completed his doctorate in mathematics with a good grade. There followed a series of good teaching jobs before he obtained a lectureship at the then leading university of Berlin, ten years after graduating. In due course, there followed positions as associate and the full professor. As professor he contributed some small but important proofs to the maths cannon, graduated an impressive list of doctoral students and developed an interesting approach to maths textbooks. He became a respected and acknowledged member of the German mathematical community. The elder brother’s life ran somewhat differently. He started at the local university but unlike his younger brother he was anything but studious preferring a life of dancing, ice -skating and playing billiards to learning mathematics. His father a hard working craftsman was disgusted by this behaviour and forced him to leave the university and take up a teaching post in Switzerland. On the advice of his mathematics professor he taught himself mathematics by reading the greats. He returned to his home university and obtained his doctorate in the same year as his brother. There then followed a series of dead end jobs first as a badly paid university lecturer with little prospect of promotion and then a series of deadbeat jobs as a schoolteacher. In the last of these he had access to a good physics laboratory and began a series of investigations in a relatively new area of physics. At the age of thirty-eight, something of a failure, he published the results of his investigations in a book, which initially failed to make any impact. At the age of forty-four he obtained an appointment as professor at a polytechnic near to his home town and things began to finally improve in his life. At the age of fifty-two his work received acknowledgement at the highest international levels and finally at the age of sixty-three he was appointed professor for physics at a leading university. The younger brother whose career path had been so smooth, fairly rapidly disappeared from the history of mathematics after his death in 1872, remembered by only a handful of specialists, whereas the much plagued elder brother went on to lend the family name to one of the most frequently used unit of measure in the physical sciences; a name that can be found on multiple appliances in probably every household in the western world. 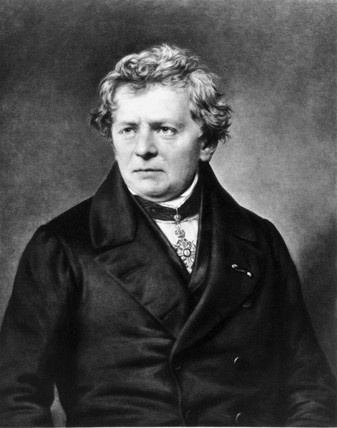 The two bothers of my story are Georg Simon Ohm (1789–1854), the discover of Ohm’s Law, and his younger brother, the mathematician, Martin Ohm, who was born on 6 May 1792 and the small German town where they were born is Erlangen where I (almost) live. 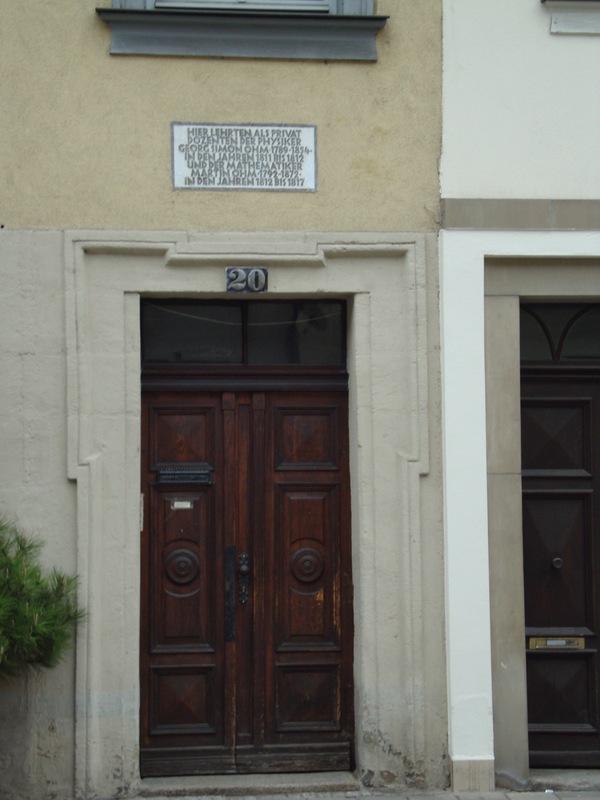 Georg Simon and Martin were the sons of the locksmith Johann Wolfgang Ohm and his wife Maria Elizabeth Beck, who died when Georg Simon was only ten. Not only did the father bring up his three surviving, of seven, children alone after the death of their mother but he also educated his two sons himself. The son of a locksmith he had enjoyed little formal education but had taught himself philosophy and mathematics, which he now imparted to his sons with great success. 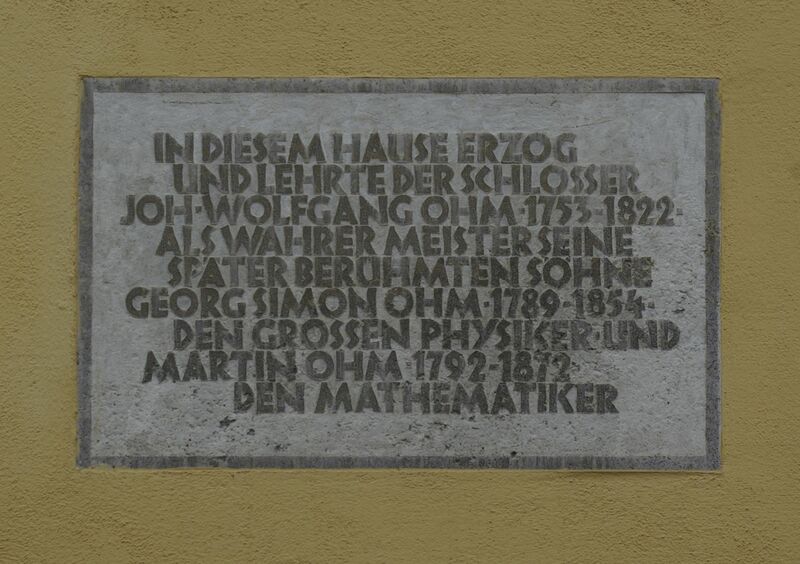 As Georg Simon was fifteen he and Martin were examined by the local professor of mathematics, Karl Christian von Langsdorf, who, as already described above, found both boys to be highly gifted and spoke of an Erlanger Bernoulli family. I’ve already outlined the lives of the two Ohm brothers so I’m not going to repeat myself but I will fill in some detail. As above I’ll start with Martin, the mathematician. He made no great discoveries as such and in the world of mathematics his main claim to fame is probably his list of doctoral students several of whom became much more famous than their professor. 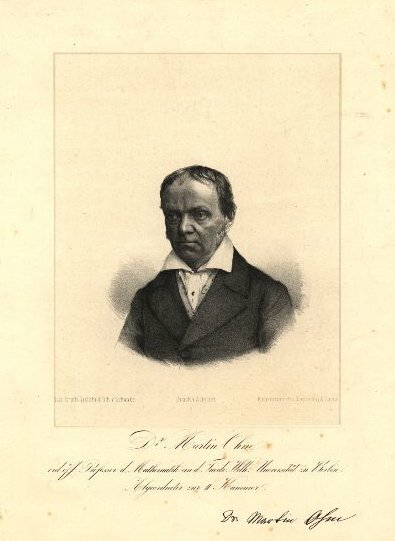 It was as a teacher that Martin Ohm made his mark, writing a nine volume work that attempted a systematic introduction to the whole of elementary mathematics his, Versuch eines vollkommenen, consequenten Systems der Mathematik (1822–1852) (Attempt at a complete consequent system of mathematics); a book that predates the very similar, but far better known, attempt by Bourbaki by one hundred years and which deserves far more attention than it gets. Martin Ohm also wrote several other elementary textbooks for his students. In his time in Berlin Martin Ohm also taught mathematics for many years at both the School for Architecture and the Artillery Academy. I first stumbled across Martin Ohm whilst researching nineteenth-century algebraic logics. When it was first published George Boole’s Laws of Thought (1864) received very little attention from the mathematical community. With the exception of a small handful of relatively unknown mathematicians who wrote brief papers on it, it went largely unnoticed. One of that handful was Martin Ohm who wrote two papers in German (the first works in German on Boole’s logic). Thus introducing Boole’s ground-breaking work to the German mathematical public. Boole had written and published other mathematical work in German so he was already known in Germany. Later Ernst Schröder would go on to become the biggest proponent of Boolean logic with his three volume Vorlesungen über die Algebra der Logik (1890-1905). It is perhaps worth noting that Boole like the Ohm brothers was the son of a self-educated tradesman who gave his son his first education. Martin Ohm has one further claim to notoriety; he is thought to have been the first to use the term “golden section” (goldener Schnitt in German) thus opening the door for hundreds of aesthetic loonies who claim to find evidence of this wonderful ration all over the place. We now move on to the man in whose shadow Martin Ohm will always stand, his elder brother Georg Simon. 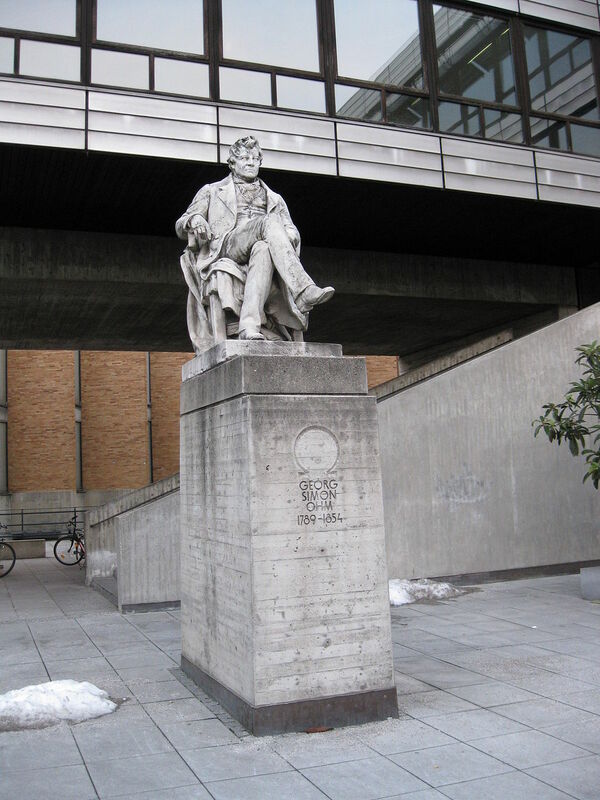 The school where Georg Simon began the research work into the physics of electricity was the Jesuit Gymnasium in Cologne, which even granted him a sabbatical in 1826 to intensify his researches. He published those researches as Die galvanische Kette, mathematisch bearbeitet (The Galvanic Circuit Investigated Mathematically) in 1827. It was the Royal Society who started his climb out of obscurity awarding him the Copley Medal, its highest award, in 1842 and appointing him a foreign member in the same year. Membership of other international scientific societies, such as Turin followed. 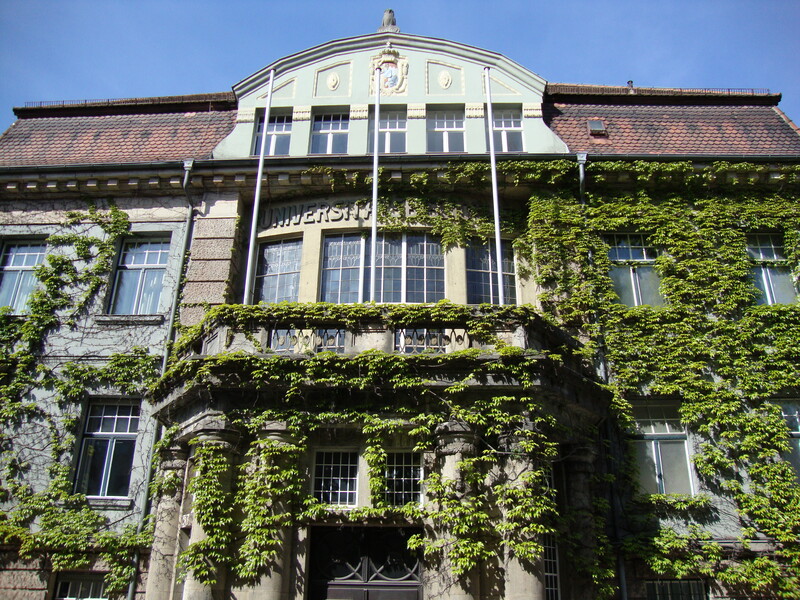 Georg Simon’s first professorial post was at the Königlich Polytechnische Schule (Royal Polytechnic) in Nürnberg in 1833. 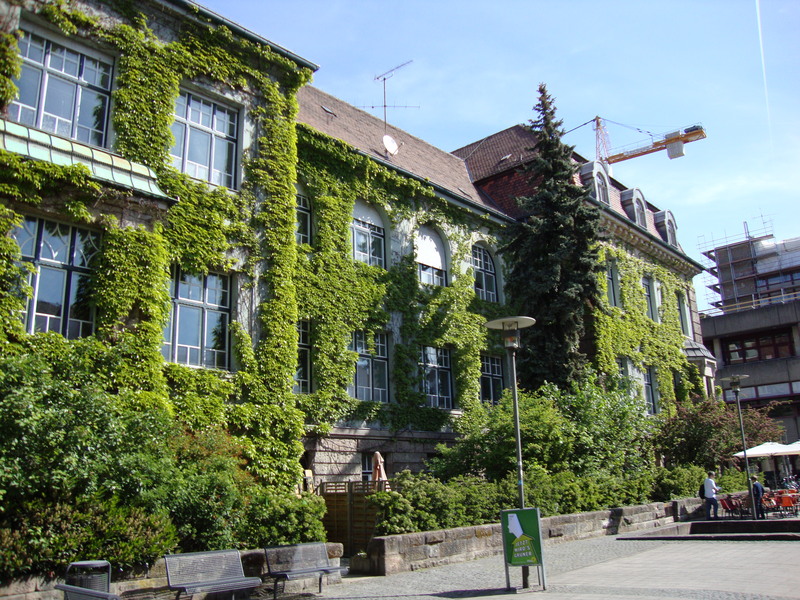 He became the director of the Polytechnic in 1839 and today the school is a technical university, which bears the name Georg Simon Ohm. Georg Simon ended his career as professor of physics at the University of Munich. 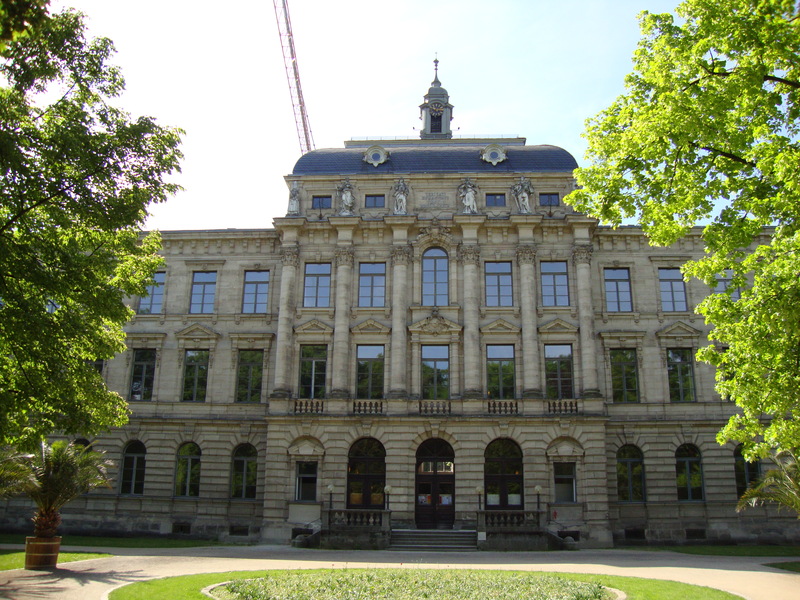 The town of Erlangen is proud of Georg Simon and we have an Ohm Place, with an unfortunately rather derelict fountain, the subject of a long political debate concerning the cost of renovation and one of the town’s high schools is named the Ohm Gymnasium. The city of Munich also has a collection of plaques and statues honouring him. Ohm Straße in Berlin, however, is named after his brother Martin. Any fans of the history of science with a sweet tooth should note that if they come to Erlangen one half of the Ohm House is now a sweet shop specialising in Gummibärs. On the 8 January 1610 the Ansbach court astronomer Simon Marius first observed the four largest moons of Jupiter just one day later than Galileo Galilei, although he would delay four years before publishing the results of his observations unlike his Tuscan rival, who famously rushed into print with his amazing discovery. It seemed somehow appropriate to post this press release here on this anniversary of that, for Marius, momentous event. Press Release – The Simon Marius Anniversary Celebrations 2014 have been a great success. The initiators of the ‘The Simon Marius Anniversary Celebrations 2014’ can look back over a very eventful year. More than 60 lectures and exhibitions corrected the public image of the margravial court astronomer both at home and abroad, and more than 200 articles appeared in newspapers, magazines, and other media. Motivation was the publication of Simon Marius’ magnum opus Mundus Iovialis (The World of Jupiter) four hundred years ago in 1614. The first high point of these activities was the launching of the Marius-Portal, www.simon-marius.net, in The State Archives in Nürnberg. This Internet site contains a bibliography, with 28 menu languages, of all the publications by or about Simon Marius (1573-1624), who discovered the four largest Jupiter moons at the same time but independently of Galileo Galilei in 1610. A substantial number of these publications have been digitised and can – where legally permitted – be viewed directly. The medium-term aim is to create a virtual ‘Collected Works’. The designation of an asteroid by the International Astronomical Union was very pleasing. The asteroid “(7984) Marius” is about 10 km in diameter and is situated in the so-called main belt between Mars and Jupiter. It orbits the sun once every 4.27 years and travels at a speed of 7.57 km/s. The final high point was the conference “Simon Marius und seine Zeit” (Simon Marius and his Times), which focused on the results of his researches. The conference report will appear in 2015. Galileo Galilei had accused the margravial court astronomer of plagiarism, however at the beginning of the 20th century he was rehabilitated and in 2014 Simon Marius was honoured in particular in Southern Germany but also in the Cosmonaut Museum in Moscow and in the USA. Galileo and Marius discovered the four largest Jupiter moons in January 1610, but Marius first published his results four years later than his Italian colleague. Today we know that in the 17th century Marius was an astronomer at the highest European levels. The ‘The Simon Marius Anniversary Celebrations 2014’ was initiated by the Nürnberger Astronomischen Gesellschaft (Nürnberger Astronomical Society) and will be set forth by the Simon Marius Gesellschaft (Simon Marius Society), which was founded at the end of December 2014. Any readers who wish to do so are cordially invited to become a normal or corresponding member of the Simon Marius Society, membership is free. A very similar luminous lustre appears when one observes a burning candle from a great distance through a translucent piece of horn. On 15 December 1612 (os) Simon Marius, Court Mathematicus in Ansbach, became the first astronomer to record a telescopic observation of the Andromeda Nebula. The importance of this observation was that whereas other known nebulae such as the Orion Nebula, had resolved into individual stars when viewed with a telescope, the Andromeda Nebula as recorded by Marius appears as “…a weak and faint lustre at the centre with a diameter of about one quarter of a degree. A very similar luminous lustre appears when one observes a burning candle from a great distance through a translucent piece of horn” (Simon Marius, Mudus Iovialis, 1614 my translation). In the history of astronomy the Andromeda Nebula would go on to play a central role in the deep space observations of Charles Messier (M31) and William Herschel in the eighteenth century. In the early twentieth century its nature and status then became the bone of contention in the legendary dispute between Shapley and Curtis. 2014 being the four hundredth anniversary of the publication of Marius’ major astronomical work the Mundus Iovialis we have been celebrating his live and work in Middle Franconia. First high point of the various activities were the launching of the Marius Portal, an Internet website giving researchers free access to all primary and secondary works by and about Simon Marius with navigation in almost thirty different languages. On 20 September a one-day conference was held with contributions covering the various aspects of Marius’ life and academic work (mathematics, astrology and astronomy) in Nürnberg. The proceedings of this conference are due to appear in book, form hopefully in 2015. 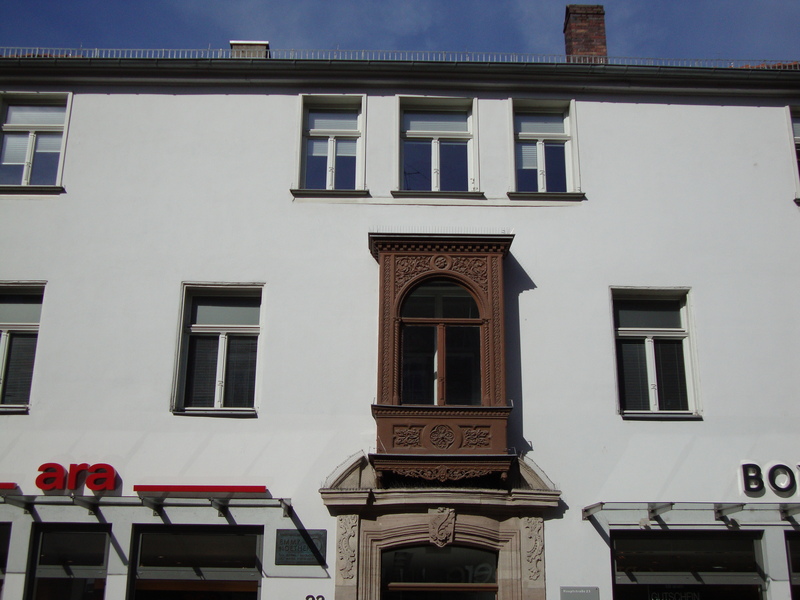 This coming Wednesday, 17 December 2014, will see the founding of the Simon Marius Gesellschaft (Simon Marius Society) in Nürnberg to further research and promote his life and work. Anybody who is interested is herewith cordially invited to apply for full or corresponding membership. There are no membership fees! Anyone coming to the history of the search for a method to accurately determine longitude through Dava Sobel’s Longitude might be forgiven for thinking that the lunar distance method was just some sort of excuse dreamed up by Neville Maskelyne to prevent John Harrison receiving his just deserts. This is far from being the case. The lunar distance method first explicated by Johannes Werner in Nürnberg at the beginning of the 16th century was the method supported by nearly all astronomers since at least Newton as they were of the opinion that it would not be possible to construct a clock sturdy enough to survive a rough sea voyage and extreme changes of temperature and accurate enough to keep its time over several weeks in the foreseeable future. It should be remembered that it was the astronomers, responsible for keeping track of time since the dawn of civilisation, who had invented and developed the mechanical clock and it was the astronomical instrument makers who were the leading clock makers of the period so they really did know what they were talking about. For these highly knowledgeable men the lunar distance method genuinely seemed to offer more hope of a solution to the problem. The lunar distance method is one of several ‘astronomical clock’ methods of determining longitude. 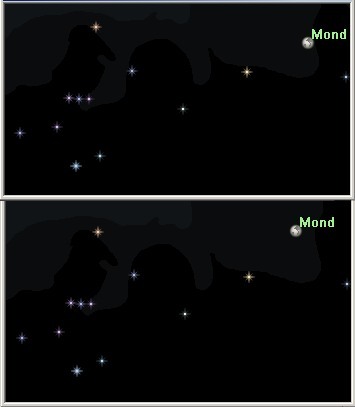 The theory says that if one has a set of tables detailing the position of the moon respective to a given star or group of stars for accurately determined time intervals for a given fixed position then by observing the moon’s distance from said star or stars locally and noting the local time it should be possible to calculate the time difference of the two observations, real and tabular, and thus determine the longitude of the current position relative to the fixed position in the tables. Four minute of time difference equal one degree of longitude difference. To make this system viable one needs two things, an instrument capable of accurately determining the lunar distance on a moving ship and accurate lunar distance tables. The first problem was solved by the English mathematician and instrument maker John Hadley who I’ve written about before and the second by the German cartographer and astronomer Tobias Mayer who died two hundred and fifty years ago today on 20th February 1762, aged just 39. 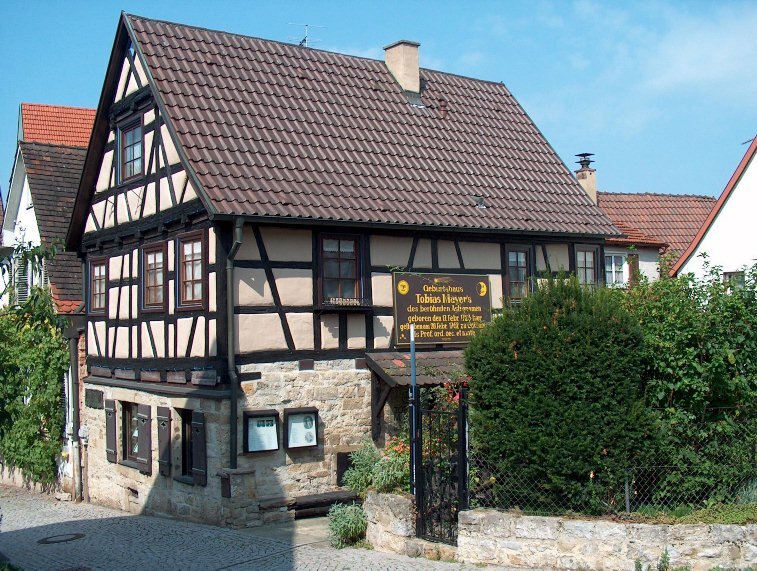 Mayer was born on in 17th February 1723 in Marbach but his family moved to Esslingen less than two years later. He grew up in comparative poverty and when his father died in 1731 Tobias was placed in an orphanage. He received only very basic schooling and was a mathematical autodidact. However at the age of eighteen he had already published a book on geometry and a town plan of Esslingen. 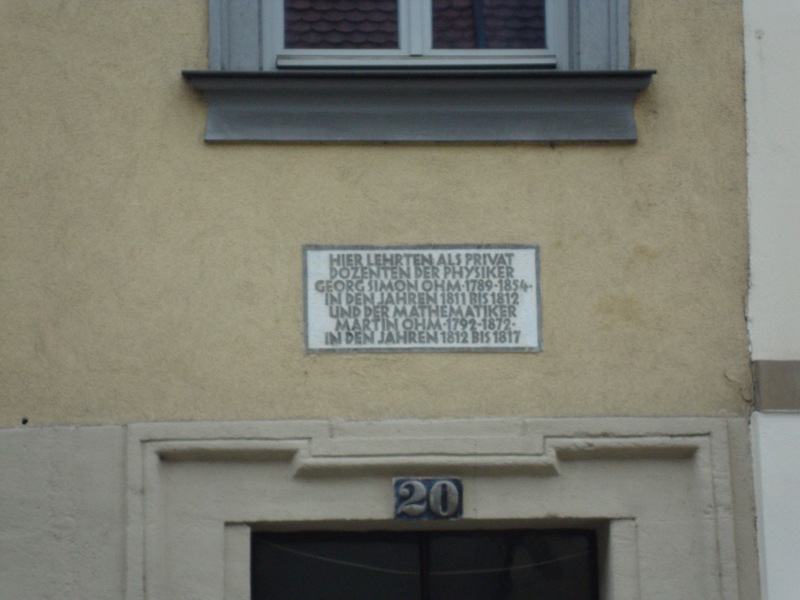 In 1743 he moved to Augsburg where he worked for the Pfeffel publishing house and where he published a Mathematical Atlas and a book on fortification. His publications led to him being appointed to a senior position at the Homanns Erben cartographical publishing house in Nürnberg, one of the leading cartography companies in Europe, in 1745. In his six years in Nürnberg Mayer published about thirty maps and numerous astronomical papers with a special emphasis on lunar research. It was during his time in Nürnberg that Mayer laid the foundations of his lunar tables for the lunar distance method. 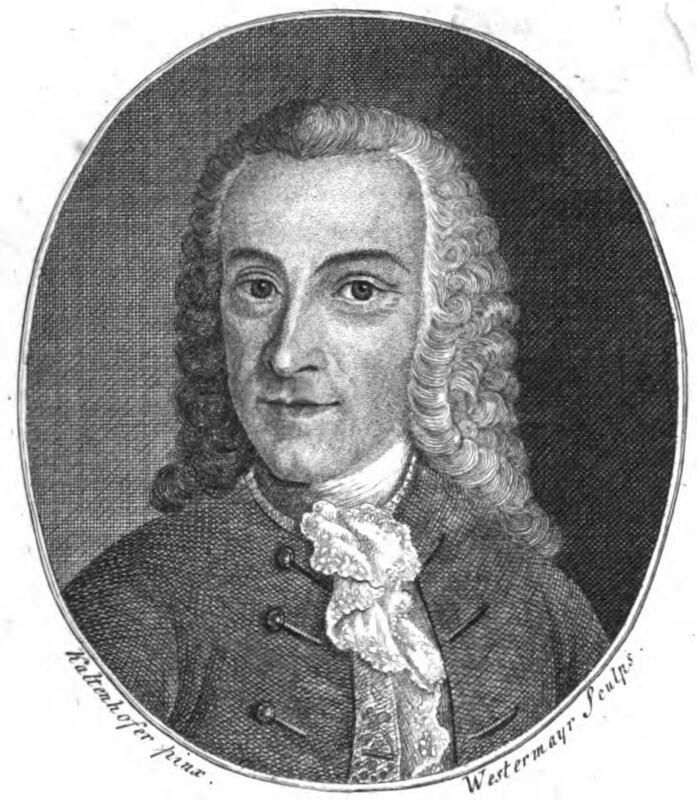 By 1751 Mayer enjoyed a reputation as one of the leading European astronomers and he was offered the chair of mathematics at Göttingen and the directorship of the university observatory. During the next ten years Mayer would publish extensively on astronomy, mathematics, geodetics, mensuration and the design and construction of scientific instruments. He died on 20th February 1762 of typhoid. Although the moon obeys Kepler’s laws of planetary motion, because it is fairly large and lays between the earth and the sun it gets pulled all over the place by the force of gravity and as a result its orbit is a very ragged and irregular affair. In both the systems of Ptolemaeus and of Copernicus the models for the moon’s orbit are less than successful. Kepler ignored the problem and did not supply a lunar model in his system. This omission was corrected by the young English astronomer Jeremiah Horrocks who proved that the moon also has, at least in theory, an elliptical Keplerian orbit and delivered the best lunar model up till that time. Even the great Newton had immense difficulties with the moon and although he based his efforts on Horrocks’ work he was unable to show that the moon really conforms to his gravitation theory. It would have to wait for Simon Laplace to tame the moons orbit at the end of the eighteenth century. Before Laplace none of the mathematical models of the moons orbit was accurate enough to deliver tables that could be used for the lunar distance method. Mayer took a novel approach, he argued that what was needed was not a new model but more accurate observations and more accurate calculations based on those observations and set to work to deliver and deliver he did. Over several years Mayer made very exact observations of the moons positions and very accurate calculations for his tables and thus he succeeded where others had failed. In 1752 he published his first set of lunar tables and in 1755 he submitted them to the Board of Longitude in London. With his tables it was possible to determine the position of the moon within five seconds of arc making it possible to determine longitude to within half a degree. I am the more unwilling my tables should lie any longer concealed; especially as the most celebrated astronomers of almost every age have ardently wished for a perfect theory of the Moon … on account of its singular use in navigation. I have constructed theses tables … with respect to the inequalities of motions, from that famous theory of the great Newton, which that eminent mathematician Eulerus first elegantly reduced to general analytic equations. Mayer’s preface to the 1760 edition of his tables. Combined with Hadley’s quadrant now modified to a sextant the problem of longitude was effectively solved, although only for days when the moon was visible. After trials and a new improved set of tables, published posthumously, the Board awarded Mayer’s widow a prize of £3000 a very large sum of money in the eighteenth century although only a fraction of the sum awarded to Harrison. 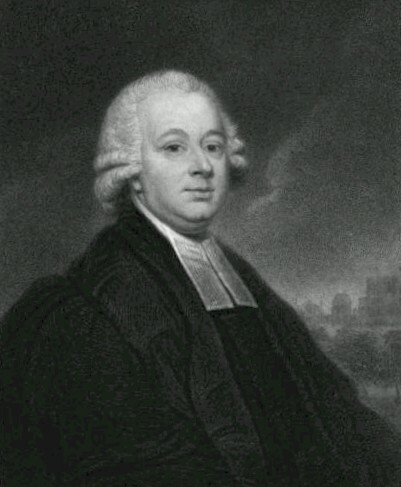 The calculations necessary to determine longitude having measured the lunar distance proved to be too complex and too time consuming for seamen and so Neville Maskelyne produced the Nautical Almanac containing the results pre-calculated in the form of tables and published for the first time in 1766. The Tables of the Moon had been brought by the late Professor Mayer of Göttingen to a sufficient exactness to determine the Longitude at Sea to within a Degree, as appeared by the Trials of several Persons who made use of them. The Difficulty and Length of the necessary Calculations seemed the only Obstacles to hinder them from becoming of general Use. Contrary to the impression created by Sobel the two methods, lunar distance and marine chronometer, were not rivals but were employed together as a double safety system. Thanks to Sobel’s highly biased book John Harrison’s efforts have become well known and Harrison has become a household name. Mayer however whose services to navigation are just as important remains largely unknown, an anonymity that he does not deserve. 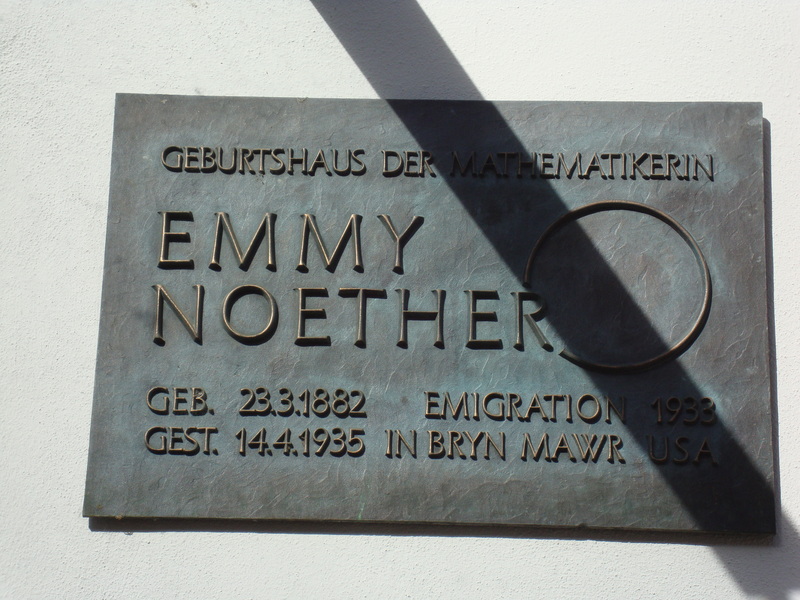 Yesterday Paul Halpern at PACHS posted a nice short piece with a photo of the grave stone of the German mathematician Emmy Noether at Bryn Mawr College. As I wrote in an earlier post I (almost) live in Emmy’s home town and actually studied mathematics at the same university so having seen where her life ended I thought it would be nice to show some photos of where it started. Because her father was Professor of Mathematics at the university she was allowed to study mathematics there unusual for a woman at that time. 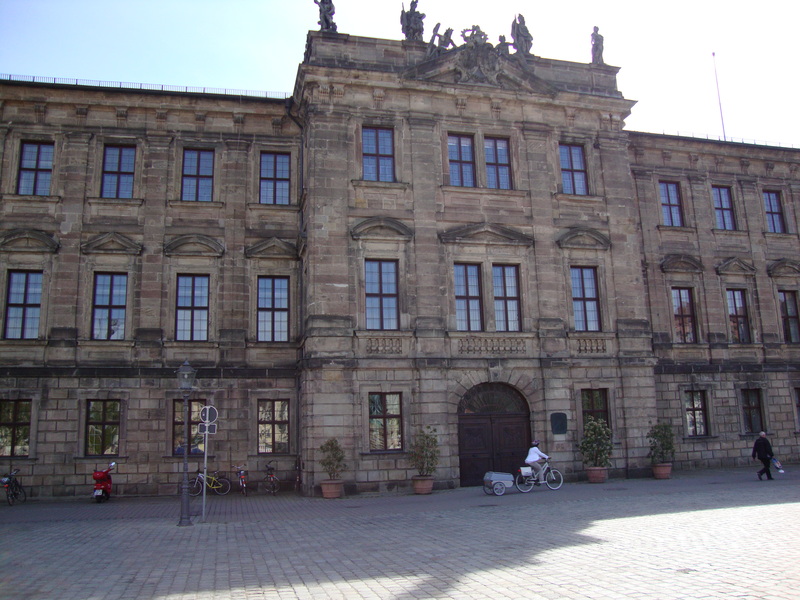 The Friedrich-Alexander-University Erlangen-Nürnberg was founded in 1742 in Bayreuth and moved to Erlangen in 1743. From 1801 the administration moved into this building where it still resides. All of these universty building are within a couple of hundred metres of Emmy’s birthplace so she didn’t have far to go to do her studies. Emmy is one of the greatest 20th century mathematicians and deserves to be much better known than she is. Nürnberg: Pencil Capital of the World! The title of this post is something I wrote in a comment on my previous post on Conrad Gesner. Nürnberg which is home-base to two of the world’s largest produces of drawing and writing instruments Faber-Castell and Staedtler Mars, both of whom started out as pencil manufacturers, could style itself in American fashion, “Pencil Capital of the World!” In fact it chooses to market itself as “Dürer City” figuring for some reason that a world famous Renaissance artist is sexier than the humble lead pencil. Now why Nürnberg is the major centre for the production of pencils and how this came about is something that has puzzled me since I settled here and being a historian I of course set about one day to find out why. I am now going to explain the answer to this question because it’s an interesting example of Renaissance knowledge and technology transfer. Before turning to Nürnberg and the manufacture of pencils I have to fill in some background about the growth of Nürnberg and its position within Renaissance Europe. Like many European cities Nürnberg was founded at the beginning of the second millennium CE and like most of the others it was originally just a fort or castle on a rock outcrop at a strategically important crossroads. In fact the crossroads was the cause of Nürnberg’s rise to fame and fortune. If you draw a line from the north coast of Germany, say somewhere around Kiel, down to Northern Italy and a second one from Paris to Prague, both of which were important prosperous mediaeval cities, Nürnberg stands where those two lines cross. Nürnberg was a Free Imperial City, which means that it owed feudal allegiance to the German Emperor but to no other more local potentate or ruler. Armed with special tax and customs privileges granted by the Emperor Nürnberg became a major trading power distributing goods brought in from Asia by the North Italian trading cities to the rest of Europe. By the late 14th century the Nürnberg traders had become very rich and started to invest their surplus profits in the new expanding mining industry of Middle Europe. The High Middle Ages saw a massive surge in demand for metals and a rapid expansion of the mining industry, most of the mines being situated in Middle Europe in what is now Eastern Germany, The Czech Republic, Hungary, Rumania etc. 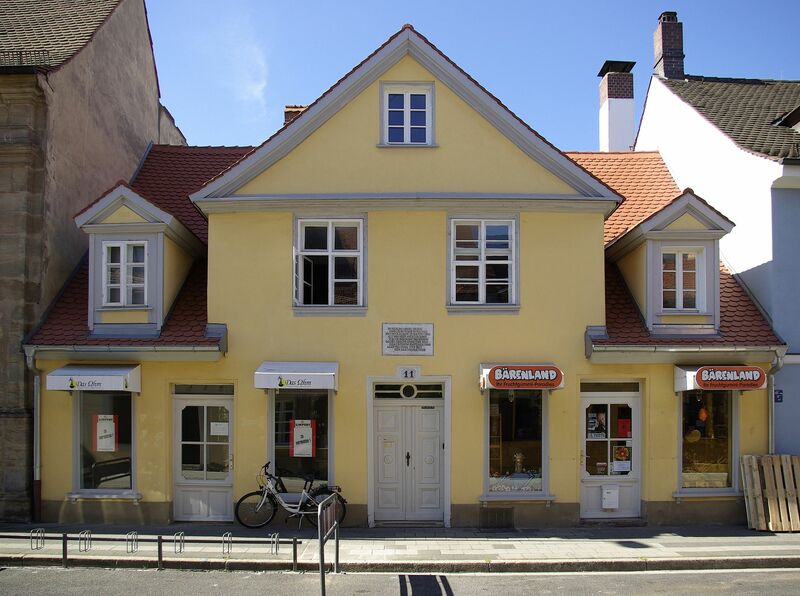 Most famous was Joachimsthal in Bohemia centre of the silver mining industry whose silver coins were called Joachims Thaler, which became corrupted to dollar. By the 15th century the rich Nürnberg merchants controlled the Middle European mining industry, at first just trading the ores but the step by step taking over the smelting and production of the metals and finally setting up production units in Nürnberg for all sorts of metal objects, from jewellery to armour and weapons. By the end of the 15th century Nürnberg was one of the leading centres in Europe for metal-based manufacture, amongst other things it was the leading manufacturer of scientific instruments. 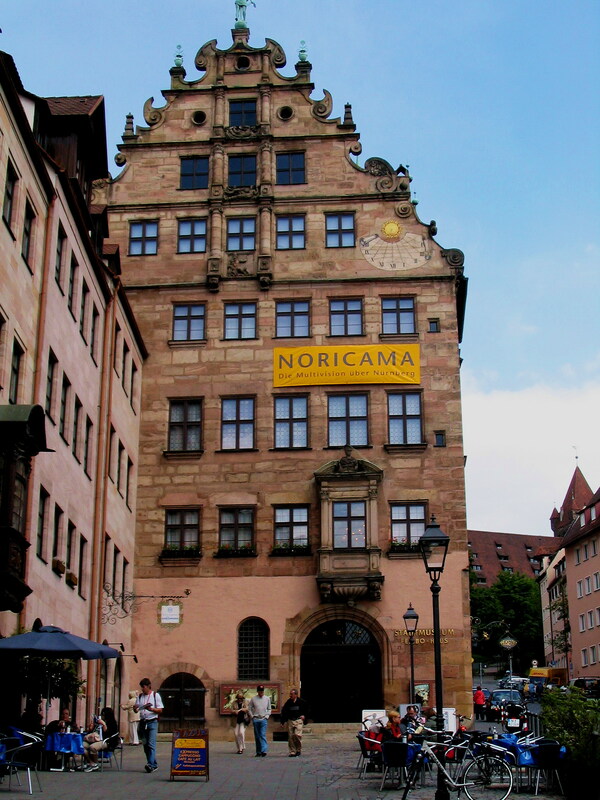 In this period Nürnberg was the second biggest city in Germany and one of the richest cities in Europe as well as being a leading centre for arts and crafts. For example it was the largest manufacturing centre in Europe for spectacle lenses. The Nürnberg merchant traders also maintained the largest trading post in Venice. We now turn our attention to the history of the pencil. Pencils originally consisted of a lead rod fitted with a silver tip, this enabled the user to make a faint grey line on his writing material. Sometime in the first half of the 16th century a large natural deposit of graphite was discovered on the surface near Borrowdale in Cumbria in Northern England, the only graphite deposit ever found on the surface. It was soon discovered that one could write better with the new ‘black lead’ than with silver point and the graphite pencil was born. The original deposit of graphite was cut into sticks that were then bound with cloth or string to fashion a writing implement. Over the next decades a healthy trade in the new English black lead pencils developed and the landowner in Cumbria started searching for new supplies of raw material. Because this meant mining he employed the best mining engineers available, the German miners from the metal mines in Middle Europe. These miners returning home at the beginning of the 17th century told their German employers, the merchant traders of Nürnberg, about graphite and the English pencils. Always on the look out to turn an honest Mark and having the best artisan craftsmen in Europe at their disposal they decided to try and get into the pencil market. Despite having the best mining experts in their employ the Nürnberger were unable to find massive graphite deposits in the English style but did discover deposits from which they could recover crushed graphite. They mixed the crushed graphite with other substances, originally various things and then finally clay, and encased their ‘leads’ in a wooden sheath consisting of two hollow halves glued together, a development in pencil making borrowed from the Italians who had replaced the original bindings with wood, and so the modern pencil was born. Staedtler was established in the late 17th century and Farber-Castell in the early 18th century and both are still thriving today although they have long gone beyond the humble lead pencil.